Two thousand years later, the call to follow Christ has been repackaged to be smooth and trouble-free, filled with opportunity and promise, but lacking risk, passion, and sacrifice. Is this really what Jesus died for? If He chose the way of the cross, where would He hesitate to lead us? Is it possible that to follow Jesus is to live your live completely unleashed? Jesus never made a pristine call to a proper or safe religion. Jesus beckons His followers to a path that is far from the easy road. It is a path filled with adventure, uncertainty, and unlimited possibilities – the only path that can fulfill the deepest longings and desires of your heart. This is the barbarian way: to give your heart to the only One who can make you fully alive. To love Him with simplicity and intensity. 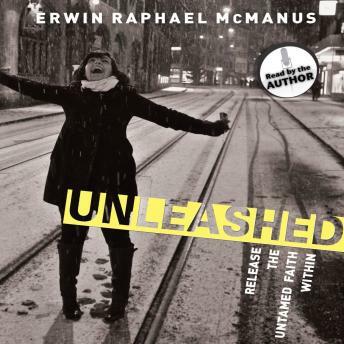 To unleash the untamed faith within. To be consumed by the presence of a passionate and compassionate God. To go where He sends you, no matter the cost.